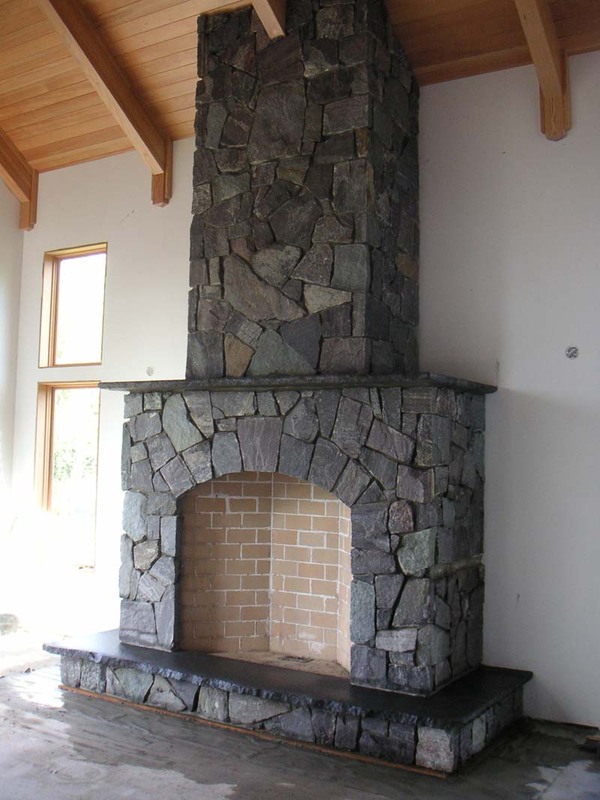 Builders have a problem building a masonry fireplace or a masonry chimney when it comes to clearances to combustibles. Current code requires a 2" air space clearance to combustibles around an interior masonry chimney to be filled only with fireblocking and flashing. Builders commonly violate that requirement by filling the air space with insulation and, often, by allowing combustible trim to be in contact with the chimney. No builder wants to leave 2" of air space around the chimney, through the roof, blocked off with only fire stopping and roof flashing. They want to seal off and insulate that space. 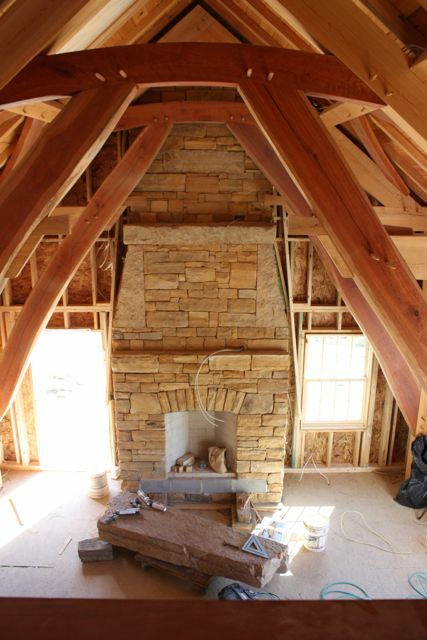 And many custom builders want to trim the masonry chimney with wood. 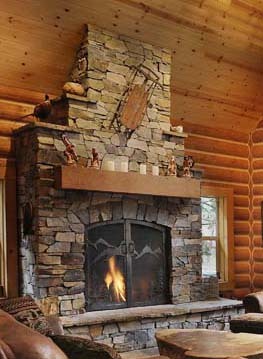 Older fireplaces and chimneys were usually built in contact with combustibles. If they were massive enough or part of a masonry wall, 4" thick chimney walls were considered safe. If the chimney only had only one or two flues and was built in a wood frame house, the chimney walls were built 8" thick as they passed through the roof. 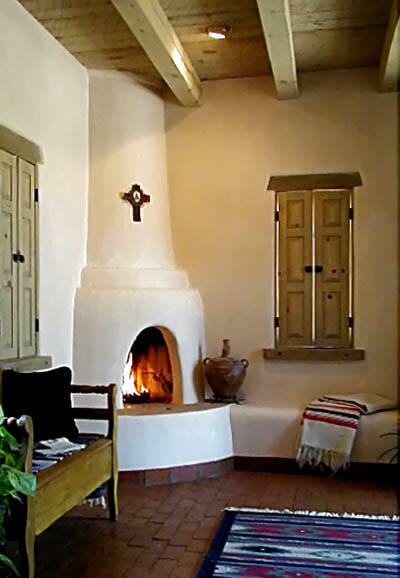 Modern code makes it difficult to build chimneys with exposed masonry walls in contact with baseboards, flooring, and combustible ceilings. We asked several builders what they do. 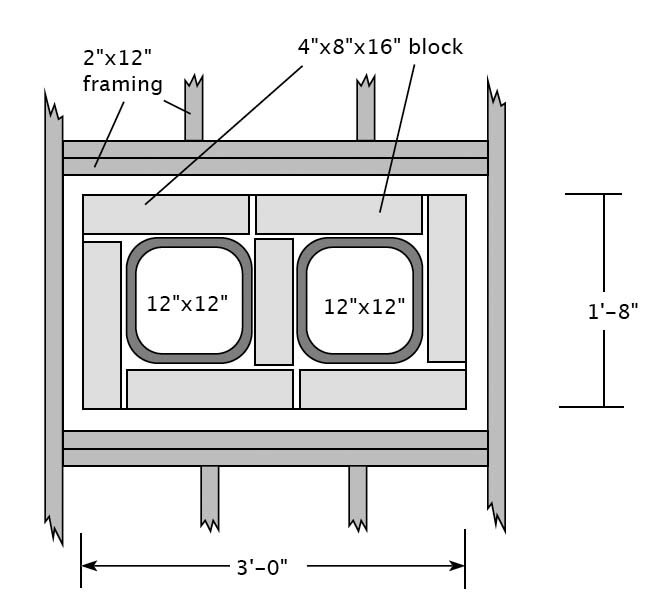 A major homebuilder in Chicago, referred by the NAHB, said he was sure his framers kept the framing 2" clear of the masonry but he didn't know (and didn't want to find out) what the insulation guys did. We haven't found a single builder with an interior masonry chimney that didn't fill that 2" air space with insulation or trim right up to the masonry. We think it's much safer to fill the air space with non-combustible insulation to avoid the probability that the air space will inadvertently be filled with combustible insulation or trash. The pictures illustrate chimneys that appear to be built in violation of code in that the chimneys are in contact with walls, ceilings and combustible trim. 1) They insulate the air space. 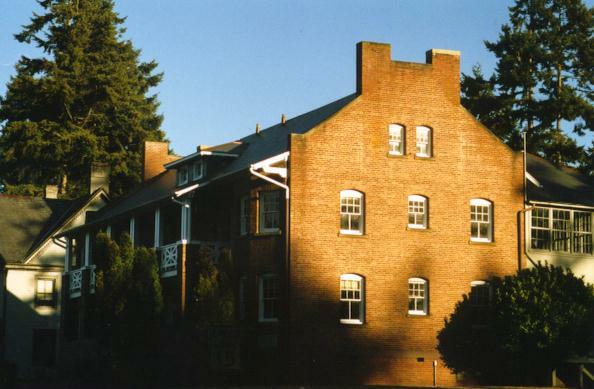 2) Or they trim right up to the masonry with combustible trim. 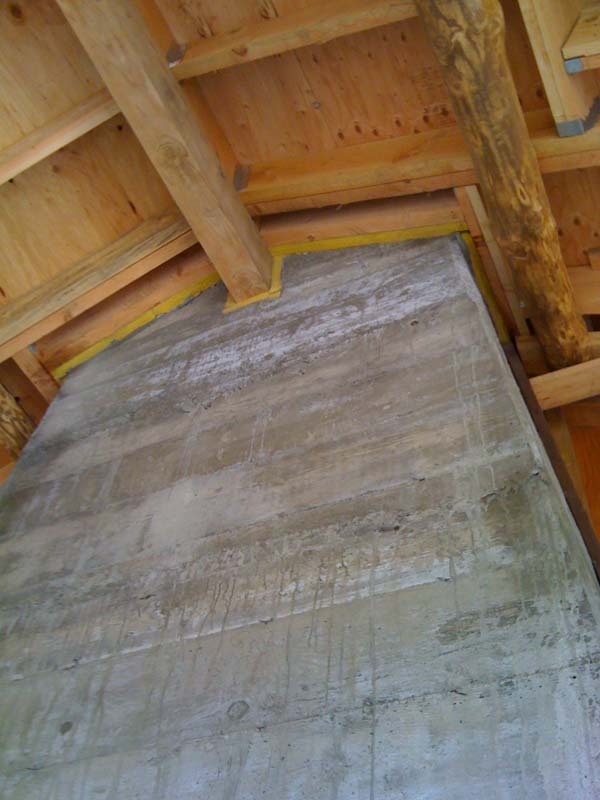 2) allowing the masonry chimney to be in contact with combustibles if the chimney walls are at least 8" thick. The "un-build-ability" of a strict interpretation of current code discourages architects from specifying and builders from building masonry chimneys. A couple of years ago the IBC was changed to allow combustible materials to be in contact with a fireplaces if the fireplace walls are at least 12" thick. At that same the same 12" rule was conservatively applied to chimneys - in spite of the fact that chimney walls need only be 4" thick - half the thickness of firebox walls. We would like to revisit that excessively conservative decision in light of historical precedent and actual building practice and propose that chimneys with walls at least 8" thick be permitted to abut combustible materials. Below are two plans illustrating our code change proposal. 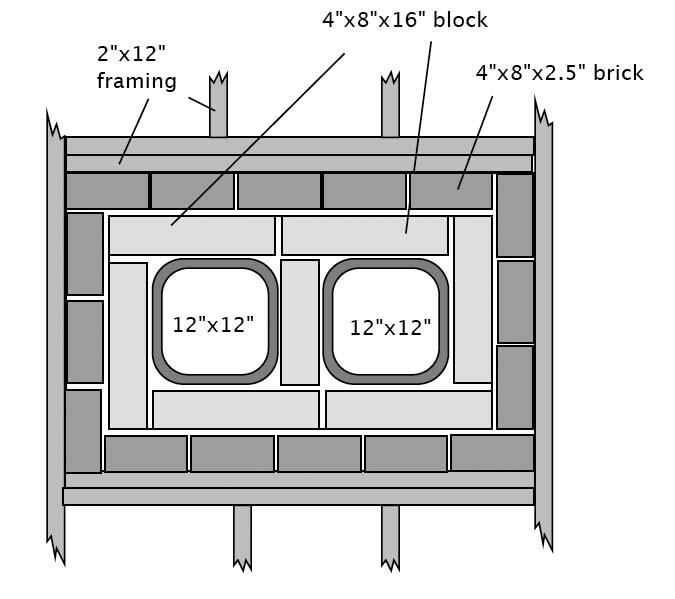 The plan on the left shows a code-compliant chimney through floor or roof framing with a 2" air space between the masonry chimney walls and the combustible framing. We are proposing that code allow the space to be filled with non-combustible insulation. The plan on the right shows the same chimney with an extra enclosure of brick making the chimney walls 8" thick. 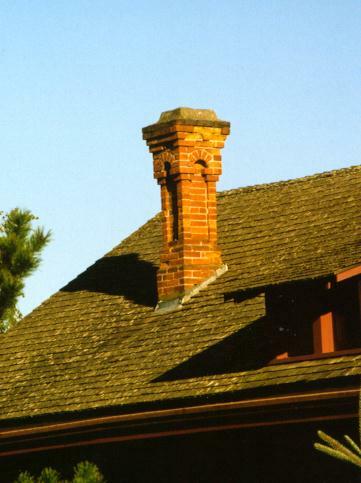 This chimney would be consistent with the historic practice of increasing chimney wall thickness to 8" in contact with combustible framing. Our proposal would allow combustible material to be in contact with a masonry chimney with 8" thick chimney walls, reducing it from the 12" thickness currently permitted by code.